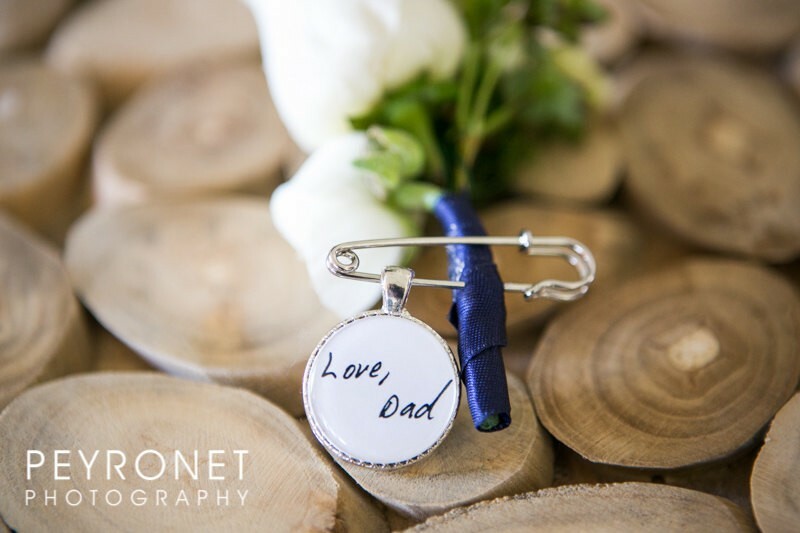 Wedding charms might not be on your wedding to-do list, but after today’s post you’ll want to add them! 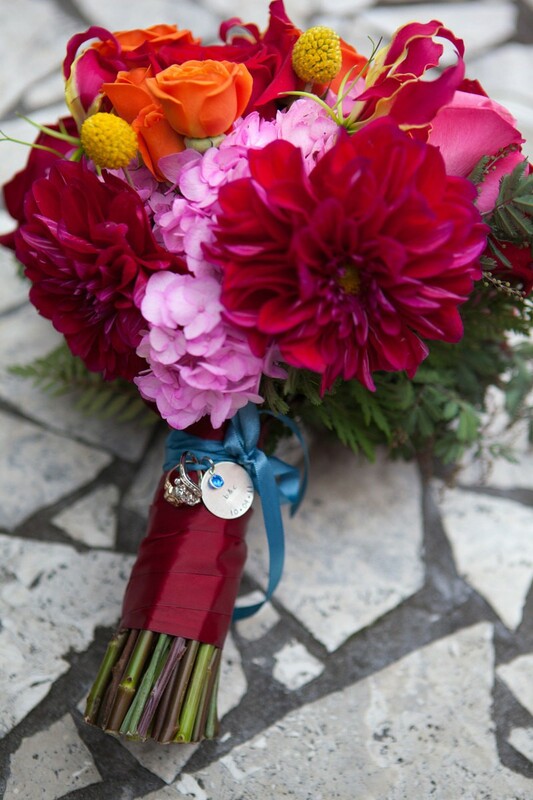 We’ve seen so many handmade wedding charms for wine glasses, bouquets, and cake pulls, just to name a few. 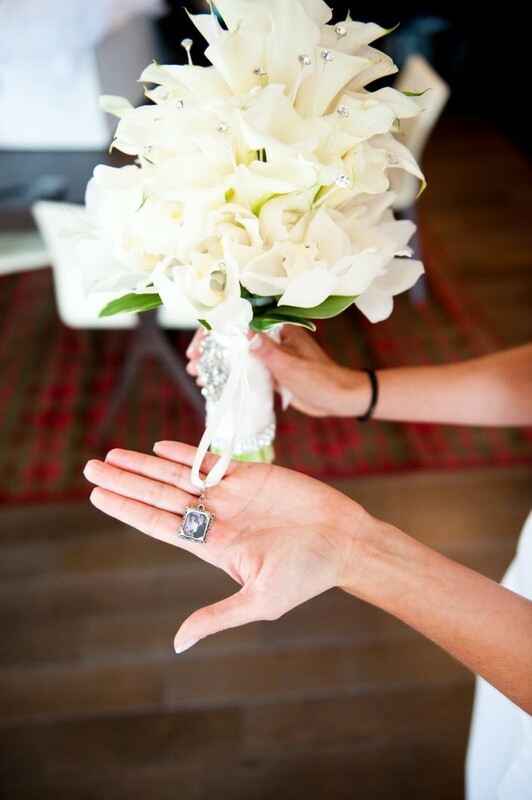 Since we find wedding charms so, well, charming, we thought it would be fun to share the best ideas for wedding charms. 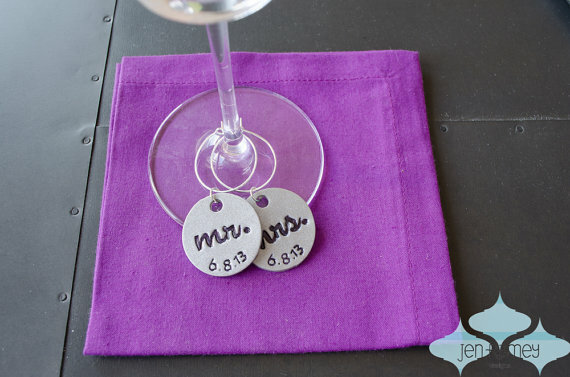 And we didn’t stop there: we teamed up with the lovely Jen of Jen Ramey Designs to give away wedding charms for wine glasses AND a $50 gift card to her shop. Read on to see what we’ve found and enter for a chance to win! It counts as your “something blue”, too! By juliethefish designs. 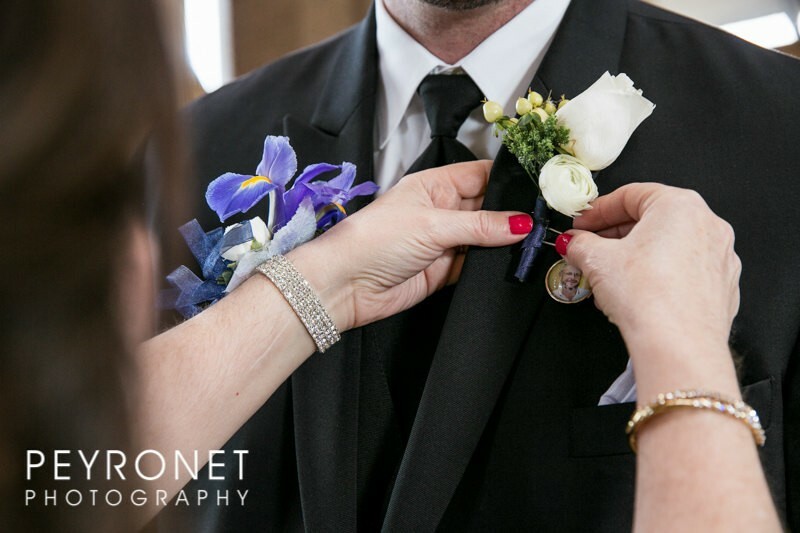 Remember a loved one who has passed with this sweet, sentimental boutonniere idea. I love how it has two sides: one side has a handwritten portion (designed from his or her actual handwriting); the other is a photo. By Now That’s Personal. 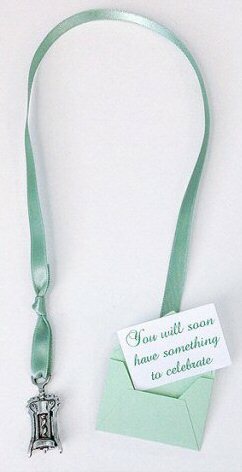 … and some for bridesmaids, too! 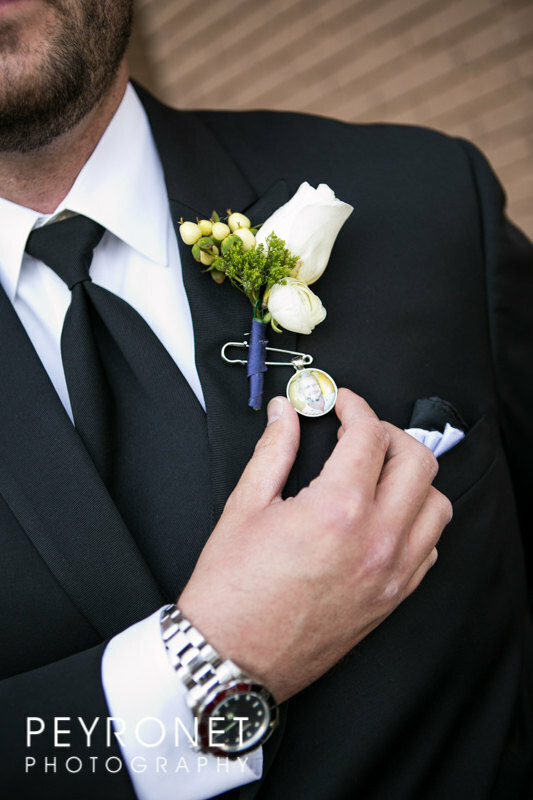 As an alternative to the boutonniere, you can carry the charm on your bouquet. By Adore Amor Accessories. Cake pulls are a fun tradition! Gather your bridesmaids around at your bridal shower as they take turns pulling these charms from your cake. The charm they pull reveals a fortune! 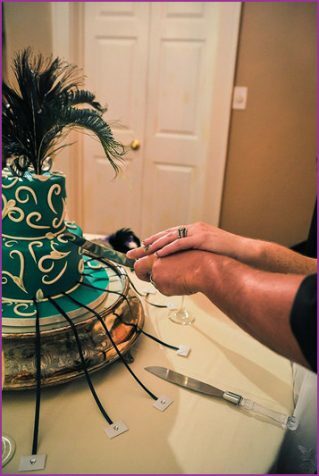 By Cake Pulls by Dahlia. I love this one! It’s simple, sweet, and ready for gifting. By The Dedication Company. Prefer a bracelet? 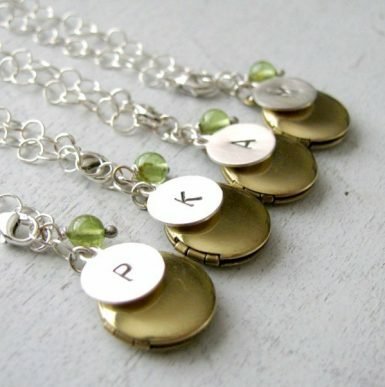 Try a charm locket bracelet with their birthstones — and stick a favorite photo inside! 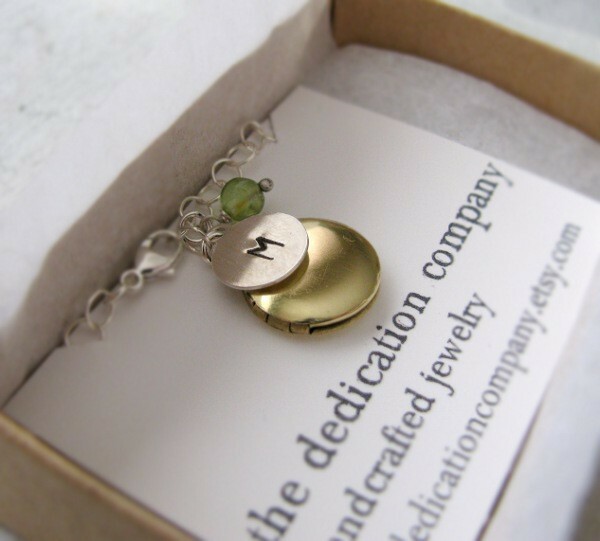 These are also by The Dedication Company. Ready for the giveaway? Here’s the details, below! RELATED: Giveaway: Win (2) Personalized Wine Glasses! I love the sweetheart initial necklace! 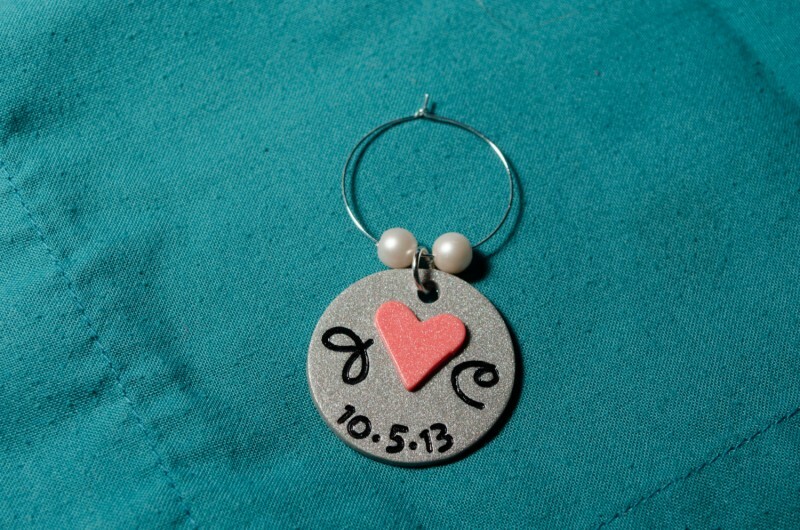 I also love the personalized keychain with initials and the wedding date–so cute!!! The wine charms are super cute!! Love them! 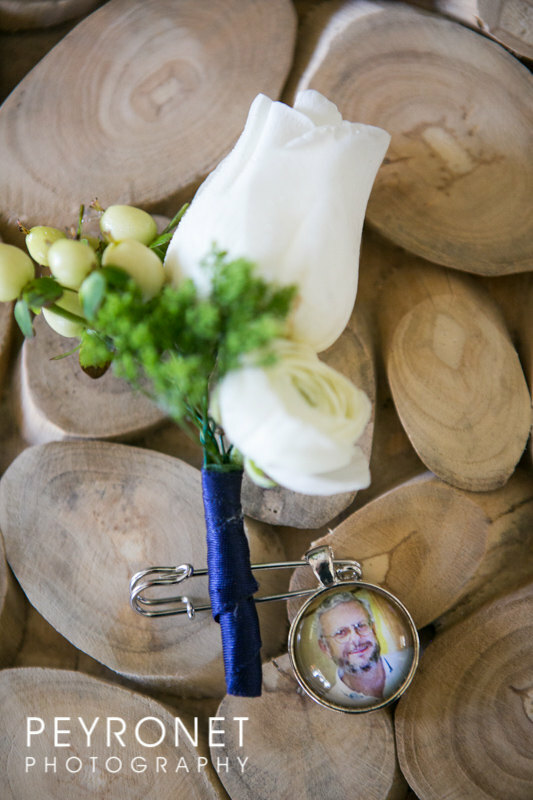 I love the bouquet wedding charms-something blue! I love the Mr & Mrs wine charms with the little pearls on it. So cute! 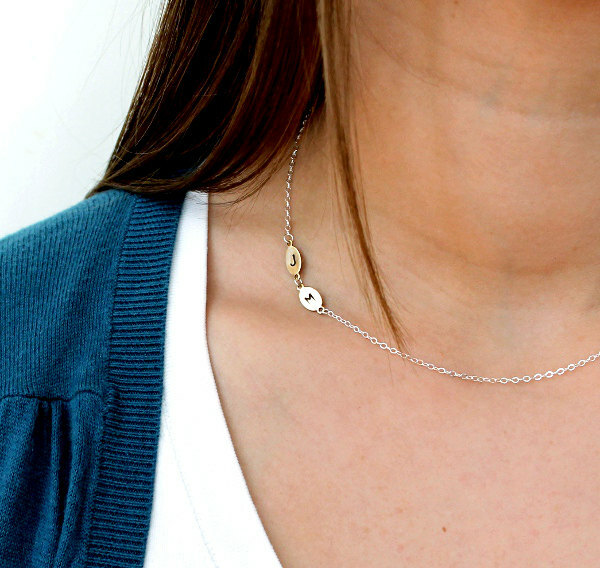 I love the Sweetheart Initials Necklace. 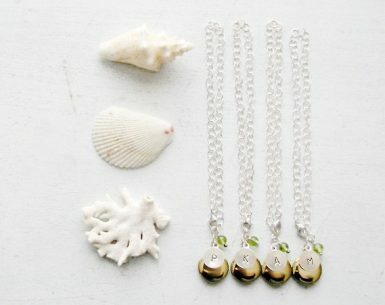 I love the sweetheart initials necklace! 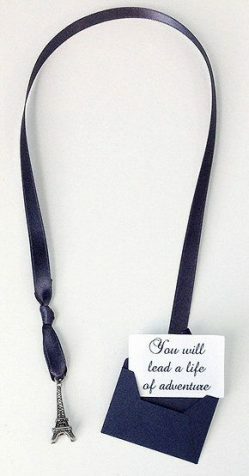 I like the bride and groom wedding wine charms! 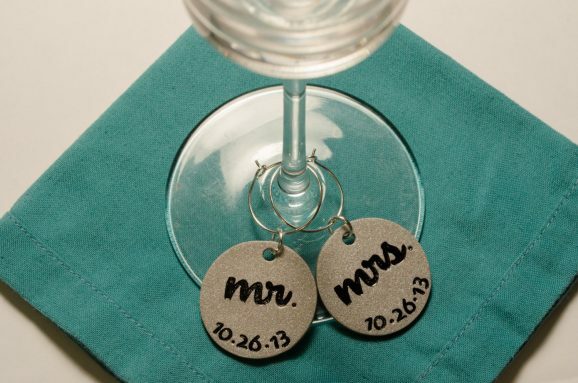 I love the bride and groom wine charms! 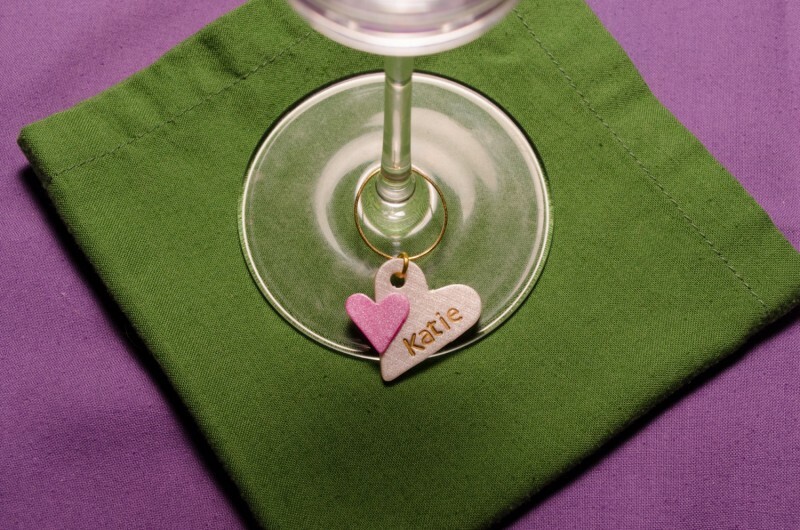 I like the bride-to-be bachelorette wine glass tag that’s a sweet pink color! I love the White Glitter Hearts Cupcake Toppers! Aside from the charms, I am loving the White Glitter Hearts Cupcake Toppers! The Mean Girls wine charms! I love the Tipsy wine charm! 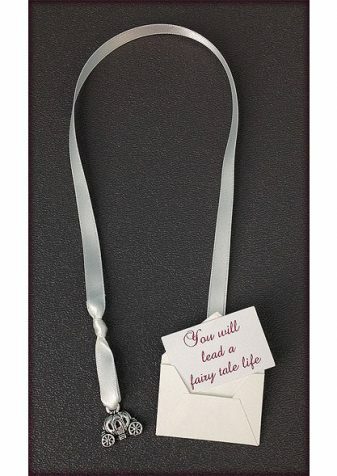 I love the bride/groom wine charms! So cute! I love those, too, Kristin! Good luck! I love the personalized keychains! Such a cute twist! I noticed those right away in the shop, Sara! Great choice. Good luck with the giveaway!